Traditionally, the evaluation of pollen-based quantitative paleoclimate reconstructions focuses on the ability of calibration sets to infer present climatic conditions and/or the similarity between fossil and modern assemblages. Objective criteria for choosing the most appropriate climate parameter(s) to be reconstructed at a specific site are thus lacking. 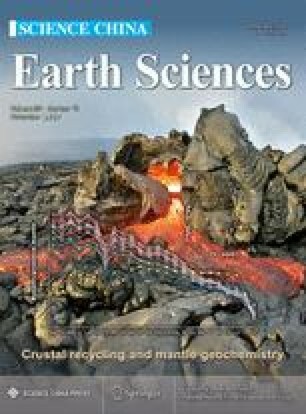 Using a novel approach for testing the statistical significance of a quantitative reconstruction using random environmental data, in combination with the advantageous large environmental gradients, abundant vegetation types and comprehensive modern pollen databases in China, we describe a new procedure for pollen-based quantitative paleoclimatic reconstructions. First, the most significant environmental variable controlling the fossil pollen assemblage changes is identified. Second, a calibration set to infer changes in this targeted variable is built up, by limiting the modern ranges of other environmental variables. Finally, the pollen-based quantitative reconstruction is obtained and its statistical significance assessed. This novel procedure was used to reconstruct the mean annual precipitation (P ann) from Gonghai Lake in the Lvliang Mountains, and Tianchi Lake in the Liupan Mountains, on the eastern and western fringe of the Chinese Loess Plateau, respectively. Both P ann reconstructions are statistically significant (p<0.001), and a sound and stable correlation relationship exists in their common period, showing a rapid precipitation decrease since 3300 cal yr BP. Thus, we propose that this procedure has great potential for reducing the uncertainties associated with pollen-based quantitative paleoclimatic reconstructions in China. We thank the three reviewers for their constructive comments, Professors Zhuo Zheng and Houyuan Lv for providing some of the surface pollen data, Professors Houyuan Lv, and Haibin Wu for providing the interpolated climate data at the sampling sites, and Dr. Jan Bloemendal for English editing. The R script used in this paper is available from Jianhui Chen (jhchen@lzu.edu.cn) on request. The work was jointly supported by the National Natural Science Foundation of China (Grant Nos. 41471162 & 41571182) and the National Key R&D Program of China (Grant No. 2017YFA0603402).